Being the host MC at some of the biggest stages and festivals, MC NICE has become one of the leading voices of the bass-music scene in Belgium. With his short bars and hyper lyrics, Nice adds pure energy to the sound! Inspired by some old school Renegade Hardware mix-tapes, he started writing lyrics around the millennium years. These days he’s rippin’ up stages alongside some of the biggest and best DJ of the Drum ‘n’ Bass and Dubstep scene. 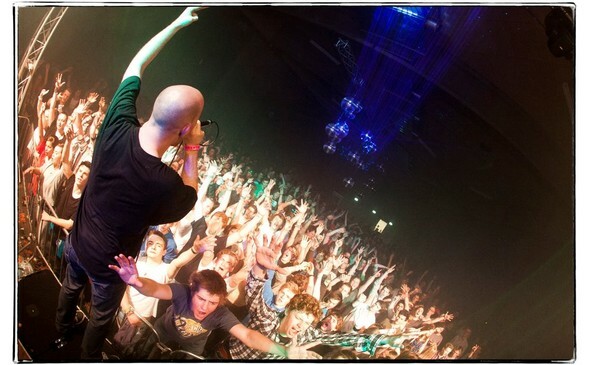 MC Nice is also part of NGA Sound, one of Belgium’s finest Dubstep formations. Over the past decade, MC Nice has performed on events like Tomorrowland, I Love Techno, Laundry Day, Daily Dubstep… Alongside some of the greatest DJs of the industry, including Allspark, Emalkay, Pendulum, Sigma, Bad Company, Distance, N-Type, Pinch, Blame, Prototypes, Drumsound & Bassline Smith, On87 and Hookerz.